Gungahlin Sultan's Turkish Cuisine uses their own specialised couriers to deliver their food. Chicken kebab, chips and a can of soft drink. Lamb kebab, chips and a can of soft drink. Lamb and chicken kebab, chips and a can of soft drink. Vine leaves rolled with rice, special herbs and spice. Smoked sliced beef cooked in tomato based sauce with onions. Eggplant, capsicum, zucchini and carrot, fried in olive oil served with garlic yoghurt. Sliced Turkish salami (mild spicy) cooked in tomato based sauce with onions. A blend of red lentils beans and seasoning with Turkish bread. Chicken with vegetable and seasoning with Turkish bread. Pumpkin and seasoning with Turkish bread. Eggplants, carrots, capsicum, green beans, potatoes, onions, zucchini, tomatoes. Shaved lamb served with rice and salad. Shaved chicken served with rice and salad. Turkish style sauce based meat ravioli with seasoning, served with yoghurt. Shaved lamb served with special tomato based sauce, garlic yoghurt, rice or bread and salad. Grilled chicken breast with creamy sauce served with rice or chips and salad. Grilled marinated lamb mince skewers. 1 Grilled lamb cutlet, 1 grilled lamb skewer, 1 grilled chicken skewer and 1 grilled meatball served with rice and salad. Cooked potato, fried onion and cheese. Capsicum, tomato, onion, parsley and cheese. Capsicum, tomato, onion, parsley, cheese, spinach, potato and mushroom. Roasted pumpkin, feta and cheese. Roasted chicken, parsley and cheese. Cooked lamb mince, onion and cheese. Shaved chicken, shaved lamb and cheese. Shaved lamb, vegetables and cheese. Shredded beef, onions, tomato and cheese. Pepperoni, onion, tomato and cheese. Chicken, tandoori sauce, parsley and cheese. Sliced Turkish salami with eggs (optional), spinach and feta cheese. Finely diced lamb, onion and tomato. Turkish salami, spinach, onion, capsicum, mushroom, garlic, feta and cheese. Roasted chicken, parsley, cheese and BBQ sauce. Eggplant, onion, sundried tomato, herbs, spice and cheese (optional). Smoked sliced beef with eggs (optional), spinach and feta cheese. Chicken, lamb, Turkish salami and cheese. Marinated prawns with garlic and cheese. Herbed minced meat with onion, parsley and cheese. 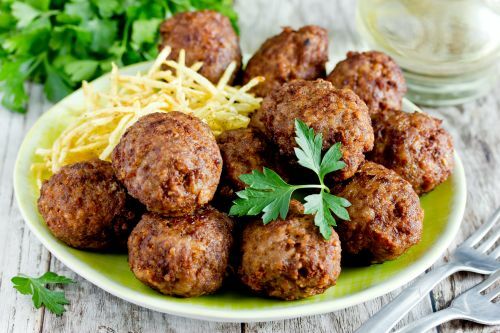 Grated zucchini balls with your choice of salad and sauce. Falafel with your choice of salad and sauce. Shaved chicken with your choice of salad and sauce. Shaved lamb with your choice of salad and sauce. Shaved lamb and chicken with your choice of salad and sauce. Grilled diced lamb with your choice of salad and sauce. Chips served with your choice of meat (chicken, lamb, mixed) and sauce. Lamb, chicken or mixed meat. Lettuce, tomato, capsicum, cucumber, onion, carrots with special sauce. Finely chopped cucumber, tomato, capsicum, onion, and parsley with special spice. Choice of Hummus, Ispanak, Cacik, Havuch, Chilli, Sweet Chilli, Tabouli, Pancar and Patlican. Wheat flour, yeast, salt, sesame seeds, poppy seeds and eggwash milk. Mixed herbs with olive oil. Freshly baked bread with crushed garlic and cheese. Sundried tomato, capsicum paste, feta, parsley, herbs, sesame seeds and chilli.